Joint Impact (J.I.) of Rahu-Saturn on Gemini, Sagittarius and Aquarius from March 2019. Finally, the last of the longer duration transit articles for this year. It is when Rahu turns into Gemini in March, 2019 and Rahu-Saturn both will impact the sign of Aquarius. They will also aspect each other and impact the signs of Gemini and Sagittarius. So, it is important to see what this transit will bring on table along with other transits. For anyone, who is completely unaware of what Rahu and Ketu is, please check this mythological story - http://astrosaxena.com/rahuketu. We have already covered in detail the transit articles of Rahu in Gemini - https://www.astrosaxena.com/rahugemini1920, Ketu in Sagittarius - https://www.astrosaxena.com/ketusagi1920, Saturn in Sagittarius - https://www.astrosaxena.com/sat17 and Saturn-Ketu-Pluto in Sagittarius - https://www.astrosaxena.com/skpsagi19. So, this article will be like a finishing touch to all the results discussed in the above articles. Also, as all the planets involved in these transits are malefic by nature which are known to give hardship and troubles, results will be more or less same as discussed in above articles. Hence, I will not cover ascendant-wise results in detail here. As nature of Rahu-Saturn remains as is in all signs/houses regardless of dignity, if we keep in mind the nature of Rahu-Saturn together, we will be able to understand what they are going to do in Gemini, Sagittarius and Aquarius signs during the year. Transit Period – As we know that Rahu will move into Gemini on 23rd Mar, 2019 and will stay there till 19th Sep, 2020. Saturn will leave Sagittarius on 24th Jan, 2020. So, the joint impact of Rahu-Saturn will remain for about 10 months which is a potential time window to predict events. This joint impact will be on the axis of Gemini and Sagittarius signs plus they both will aspect Aquarius. Now, Rahu, Saturn and their joint impact. Rahu - Rahu represents illusion, foreign lands, foreign things, Drugs, Medicines, any type of intoxication, fame, wealth, success, obsession, past-life left-over karma, movies, television, online world, cheating, imagined fears, unusual things, unique things, creativity, rule breaker. Rahu also blows things out of proportions. During transit, Rahu is basically that obsessive energy which makes us gravitate towards the things related to house/sign where Rahu is transiting in next 18 months. Saturn - Saturn is all that which we don't like in our life. Saturn is Delay, Frustration, Restriction, Limitation and Anxiety. It is Hard-work and Labour. It is people of Authority, like Boss at your work place or Father at home. Saturn is Master and Servant both (depends on who uses Saturn in what way). Saturn is our Karmic Debt from life. Saturn is the things we didn't treat too well in our past life. Saturn is our challenges and biggest lessons of life. Saturn is Old-age, Teeth in human body, Diseases, Transformation etc. Saturn is Discipline, Organisation, Structure, Government, Law & Order etc. Joint Impact (J.I.) of Saturn-Rahu – So, it is obvious that Rahu will make us gravitate or obsessed towards things of the house where it is sitting (Gemini) and where it is aspecting (Aquarius) but Saturn will put a block of delay, hard work and perseverance over the same house and results will be achieved after immense hard work. End result is obviously frustration because we want to achieve those things right now due to Rahu but unable to achieve due to Saturn. In the end, as always Saturn will win the battle and we have to bow down to Saturn, i.e. we will get results of the houses of Gemini, Sagittarius and Aquarius after great delay, hard work and perseverance. Also, the results can be very limited and reduced. We have discussed results of Rahu in Gemini - https://www.astrosaxena.com/rahugemini1920 but to understand the final results, we have to keep the Saturn factor in mind that Saturn will make these results coming only when person is ready to put the best efforts over the longest period of time. Likewise, the results of Saturn-Ketu-Pluto transit in Sagittarius - https://www.astrosaxena.com/skpsagi19 will remain as is. Rahu’s 7th aspect on Sagittarius will be almost negligible in presence of 3 malefic planets there. Saturn will again run the show. 1st of all, Aquarius itself is ruled by Saturn and Rahu. So anyways, wherever Aquarius falls in our chart, we get limited results of that house and even those results come after immense hard work. Then in transit also, Saturn-Rahu are aspecting Aquarius. Hence, it is making a kind of double energy of Saturn-Rahu on the house where Aquarius falls. It kind of confirms that in these 10 months, we should expect very limited results of the things related with the house where Aquarius falls. Dasha – As always, someone going through Rahu or Saturn MD/AD will feel the full impact of transit. Others will also see some of the results as transit duration of 10 months is long enough to impact the human life. Age of Individual – Results of malefic planets largely depend on the age of person as they become mild after attaining maturity age. Rahu’s maturity age is 42 years. So, if you are over 42 or close to 40, you can still have mild impact of this transit. It is largely because you are used to such results in life. Planets in Gemini, Sagittarius & Aquarius – Also, if you are born with planets in Gemini, Sagittarius and Aquarius, you will see results of those planets too as Rahu-Saturn both will impact them. Again, end result will be of limitation and hard work related with those planets. 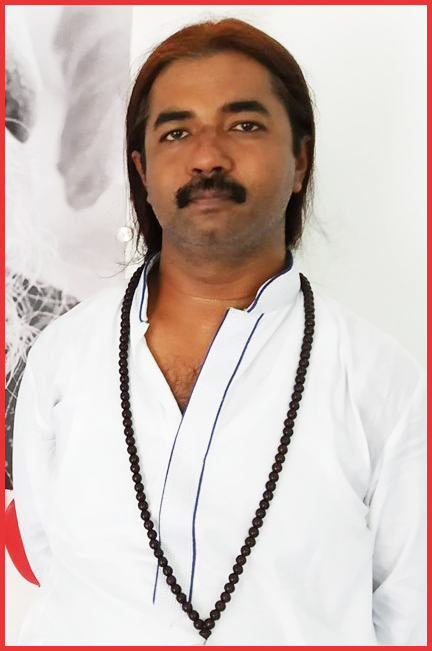 Jeeva Karaka & Ajeeva Karaka – As always, we have to remember that these very limited results with immense hard work will be more towards Jeeva Karakas, i.e. People, whereas we can still expect results of Ajeeva Karakas of the same house. But even those results of Ajeeva Karakas can only be achieved after immense hard work, delay and perseverance. So even there, things may not be easy to achieve. For more info on this concept, please check this link - https://www.astrosaxena.com/jkak. It is better to not expect any benefits from people or relationship of the houses where Gemini, Sagittarius and Aquarius falls in your chart during these 10 months. Aries – J.I. will be in 11th house/Aquarius. Almost no benefits from elder sibling, friends and networking circle. Their gains will be reduced and will only come after immense hard work and perseverance. Not a time for expecting manifestation of desires. Taurus - J.I. will be in 10th house/Aquarius. It can be a stressful time in job oriented career. Relations with Father and other people of authority can go for a toss. It is better to mentally prepare for entrepreneurship related career/work. Gemini - J.I. will be in 9th house/Aquarius. Need to be careful about father’s health. Again, relations with Father and other people of authority can be stressful and they may have to leave job. Focus needed for success in matters of higher education. Cancer - J.I. will be in 8th house/Aquarius. A major change in overall life can be on cards. Need to be careful against accidents and surgeries. Relation with in-laws can be stressful. Need to work hard for business benefits. Relationship benefits should not be expected at all. Leo - J.I. will be in 7th house/Aquarius. Again, not a good time to expect any results from marriage, partner or spouse. There can be stress in relationship. Not a time to get into new relationship. New business can begin but would give results after immense hard work and perseverance. Virgo - J.I. will be in 6th house/Aquarius. Again, any big expectation in relation can result in disputes and conflicts. Need to be careful against health issues, else some long term illness can come up. Job environment can be stressful and they need to avoid conflicts as much as possible. Libra - J.I. will be in 5th house/Aquarius. Stress can be around love relation and children. Not a good time to plan for child or get into a new relationship. Education and Creative pursuits will require focus, attention and hard work to give any result. Scorpio - J.I. will be in 4th house/Aquarius. Either they will have stress at home or with/related to Mother or they will travel away from home and mother to have very limited results of 4th house. Either ways, there will be stress and they would feel a lack of peace of mind. They would need to put double efforts in their home based business, if any. Sagittarius - J.I. will be in 3rd house/Aquarius. They can also go away from home and feel a lack of peace of mind. They may have to put an extra effort in getting anything done. Relation with younger sibling will go for a toss. In matters of business and learning, immense hard work and perseverance would be required. Capricorn – J.I. will be in 2nd house/Aquarius. Their family environment can be stressful. They may need to be very careful in matters of wealth else saving money could be an issue. Great deal of compromise and patience is needed in family matters. Aquarius - J.I. will be in 1st house/Aquarius. They will feel as if their whole life is stuck and not moving anywhere. It is time when they need to work on themselves and life path. They would need to put immense hard work for the same. They can have an idea to work for themselves as an entrepreneur but even that would require immense hard work. Pisces - J.I. will be in 12th house/Aquarius. They should be careful against their expenses else they can get into big losses and expenses. It can also bring losses in relationship. Their foreign travel or stay can either be very limited or very stressful. There can be lots of stress around wealth. Bed pleasure will be reduced to minimum. Conclusion – This gives an indication that 2019 can be an year of frustration, limitations and hard work for majority of people due to these long term impacts of strong malefic planets. Just like any other malefic transit, the key to go through this one is also awareness, patience and perseverance. Hope this helps. Please post any comment or query you may have.